Keeping it easy today with a simple, yet powerful message. 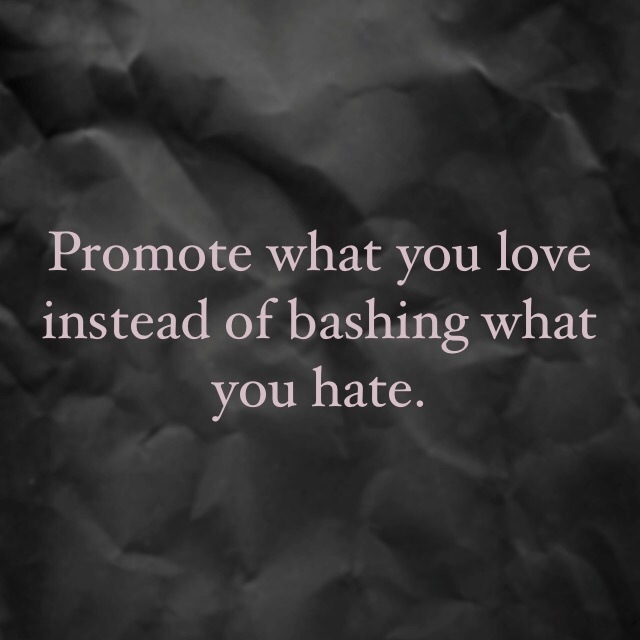 Promote what you love instead of bashing what you hate. Use your energy for good. Share positive things. Lift people/things up instead of tearing down. It makes a difference and that’s a fact.